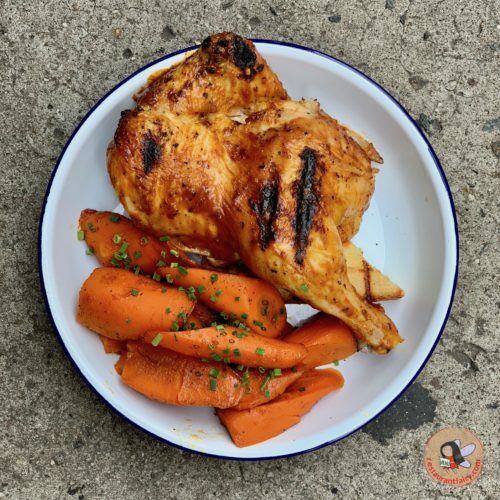 What makes this chicken so extra-ordinary is that Dan & Joe spent about three years to develop and perfect their recipe. The process begins with the antibiotic-free chicken being brined for 24 hours with their top secret ingredients. It is then cooked in the oven and “fire-grilled” to finish topped with their house-made blackened-chili honey garlic sauce. I cannot even describe to you the flawlessness of the crispy exterior, the tang of the sauce and the juiciness of the interior. 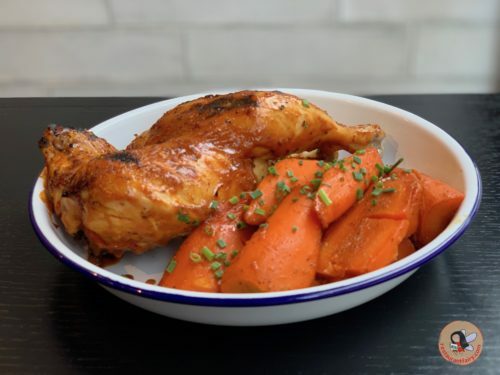 I cannot believe that I am going into raptures about chicken – but it really is just that good. 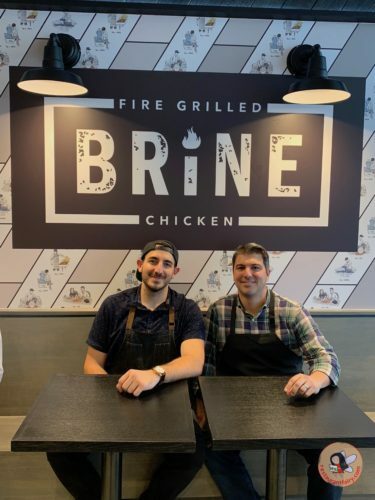 What Dan & Joe have managed to do at Brine is to bring an element of fine dining flavor to be causal and affordable without comprising quality. Their passion for what they do shown in their food and the warmth of the place. Chicken options include the Signature Thigh quarter chicken or a Spatchcock (split down the back and laid flat) half-chicken. 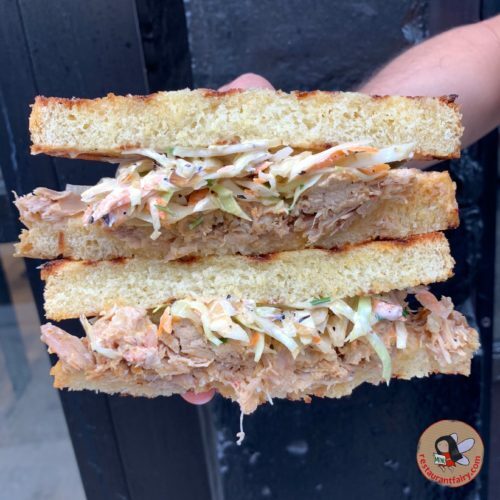 If you feel like a sandwich then they have a great one for you made with pulled breast and thigh meat tossed in signature blackened-chili honey garlic sauce on a butter grilled brioche bun. 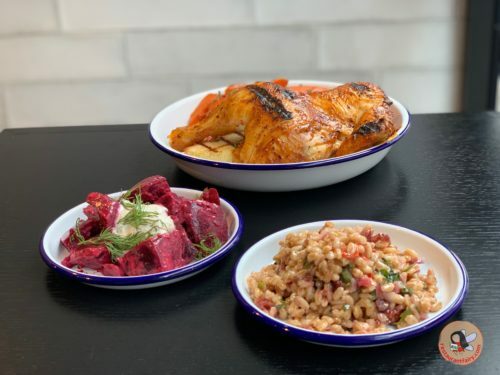 At Brine, they also offer a great choice of market sides which complement the chicken beautifully. 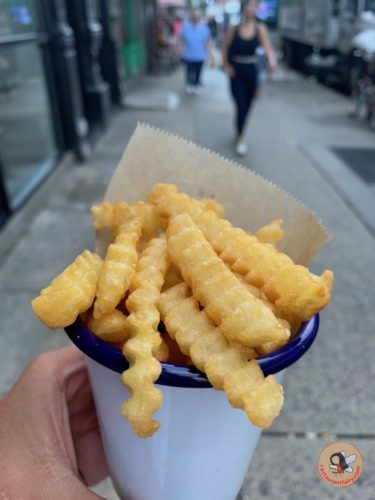 The crispy Yukon Gold crinkle-cut fries are a must try – especially when dipped in anyone of their signature sauces which include a spicy blackened chili & garlic, charred jalapeño, buttermilk red, buttermilk green, and honey mustard. 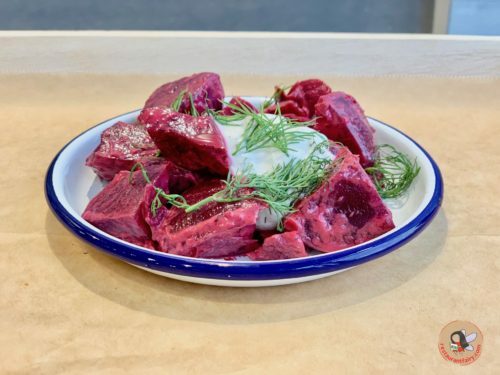 They also offer a variety of super healthy sides such as their white balsamic farro with cranberries, roasted red peppers, red onion and Italian parsley, buttermilk tzatziki beets and more. 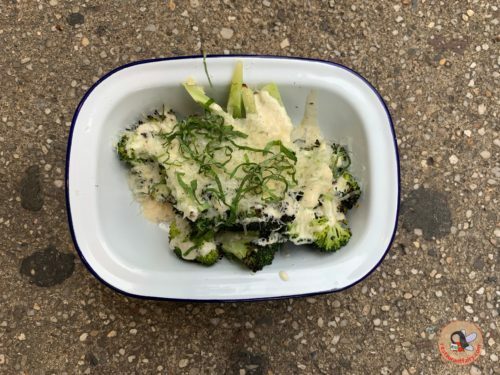 I love that there is no fried chicken at Brine (not that I have anything against fried chicken) but Id’ much rather be digging into something that feels guiltless and good. 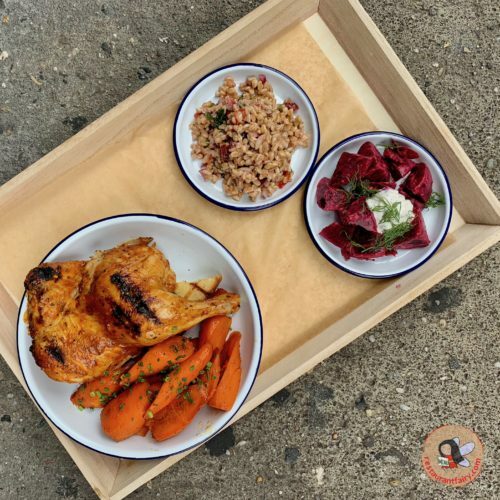 A plateful of their wood fired bird with its addictive juiciness and delectable glaze – guys I think I just got brined! Visit and you will too! 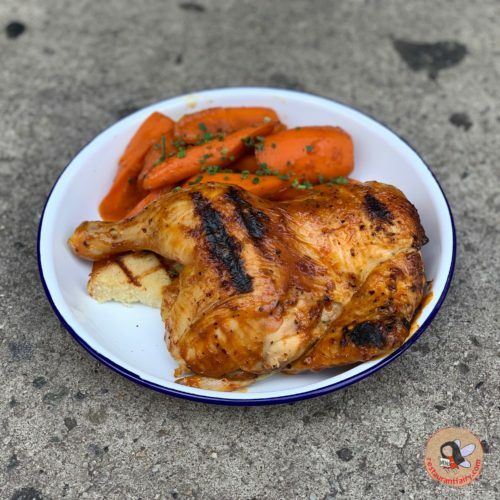 This entry was posted in AMERICAN, Chelsea, CUISINES, MANHATTAN, NEW YORK CITY, Nomad and tagged best chicken in NYC, Brine Chicken New York, Brine Chicken New York fast food, Brine Chicken New York reviews, Healthy fast food near google NYC. Bookmark the permalink.